“Life is a Voyage” according to Victor Hugo, and his famous quote is also the inspiration behind the 2019 Le French May festival. 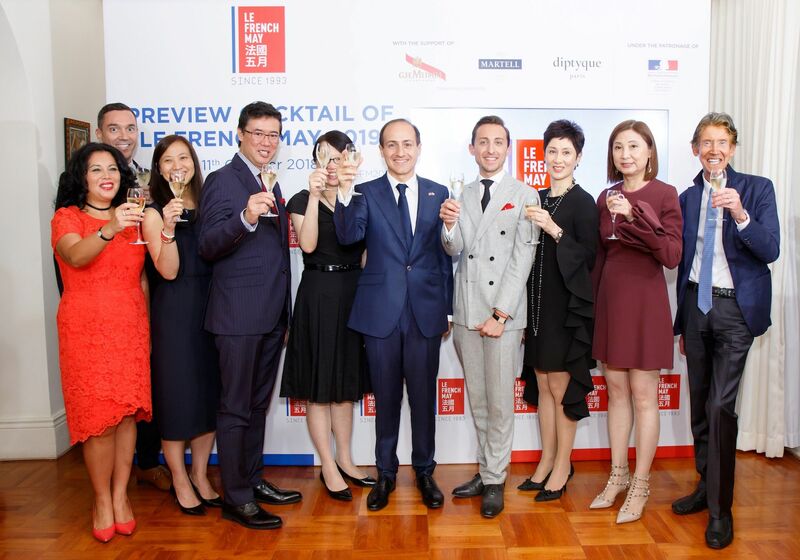 With art, music, cinema and gastronomy high on the agenda, the Le French May board held an exclusive preview cocktail reception, to discuss the forthcoming 2019 line up. The evening saw members of the board, including chairman Andrew Yuen, welcome guests before introducing next year's theme, with the festival shaping up to be a celebration of diversity taking guests on a cultural journey. Fellow members, including board directors Michelle Ong-Cheung, Catherine Kwai and Daphne King-Yao, were spotted rubbing shoulders with guests Peter Lam and James and Jane Louey in the crowd, showing their support. Andrew Yuen Dayton Group deputy managing director; chairman of Le French May.